Aspinalls - East Calder WWTW. 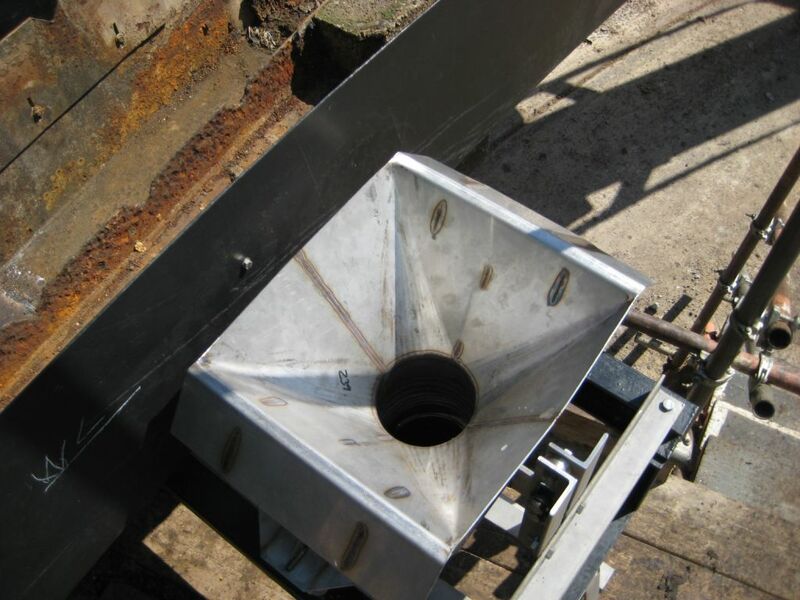 Dipping Scum Box System - UK Engineering Experts | Engineering Business UK | Qualified Engineers Lancashire | Mechanical Engineered Products | Mechanical Engineer Services. The existing static scum removal systems to the East Calder PST tanks had become ineffective and non operational due to increasing volumes of floating scum. Aspinalls were appointed to detail, supply, install and commission a dipping scum box system based upon our Weaverbrook dipping scum box design. 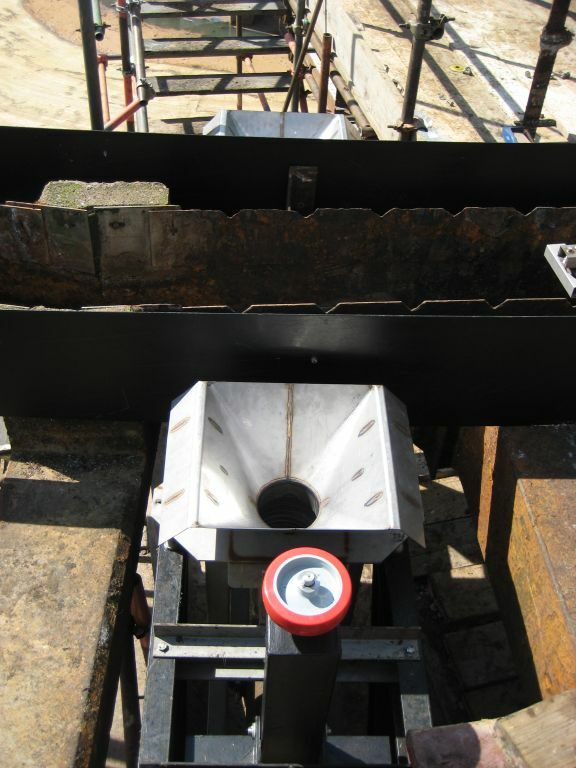 The final design solution was a tandem dipping scum box, manufactured from stainless steel grade 316 and designed to remove floating scum from either side of the existing double U-type launder channel. The hopper aperture sizes were carefully calculated to ensure adequate capacity and were equipped with a double dipping cycle providing a discharge and flush sequence. The depth of the immersion dip was also designed as adjustable. 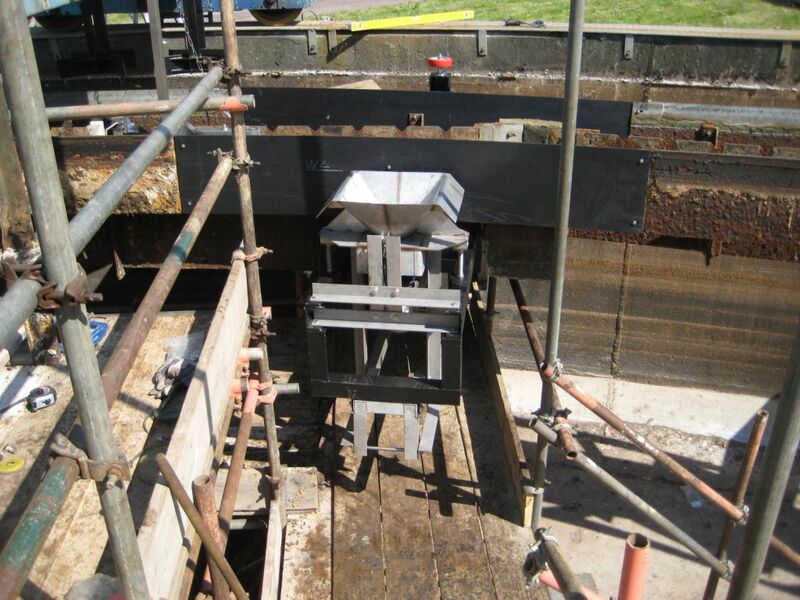 All installation works were carried out under stringent confined space regulations, Aspinalls engineers were trained to NC4 level confined space working in accordance with National Occupational Standards.